Dependence or interdependence? Is it best to stay at home or move to retirement living? When is the right time to consider moving to retirement living? While the answer to this is based on individual needs, the failure to plan ahead can leave people with fewer options. More importantly, your health and happiness may depend on it. Human beings are innately social creatures. Throughout most of history we have belonged to a larger community network. As long as we are able to remain connected to that community, retain social relationships, finding meaningful things to do and are healthy enough to do them, then staying at home is an option. But when an individual begins to lose those connections with others, feels isolated and lonely, they are more likely to have less energy, be less active, be at nutritional risk, and that state of being puts them at a greater health risk. Dr. Karl Pillemer, a leading gerontologist and researcher says a growing body of evidence now shows a direct mind- body link between isolation and loneliness and problems like heart disease and depression. While we think that by staying at home we are being “independent,” I would argue that over time we, in fact, increasingly rely on the aid of others to manage our essential requirements of life. In Canada and the U. S. our communities are experiencing a high degree of change. Higher density and transitional neighbourhoods are contributing to the feeling of being disconnected, thus we feel less safe as we age. Add a lack of affordable housing, inadequate transportation and a shrinking workforce can mean that help when you need it, may not be as accessible as you think. 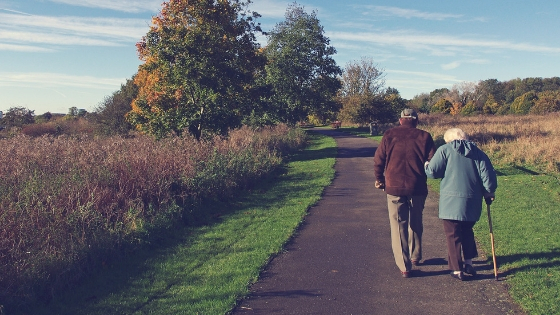 Seniors should be planning for their future needs. From downsizing, deciding on whether to be close to family, choosing a large or small community and even deciding on the timing of your transitions lets you be in control. It is a process. Decide where you will be at each stage in the aging process. Visit various communities, do trial stays, then place your name on a waiting list until you are ready. The failure to plan ahead can be devastating. As we age in place we often do not recognize the safety risks around us: Fridges that don’t get cleaned out regularly; snacking vs eating nutritionally balanced meals; safely navigating stairs and avoiding clutter; bathing; fire hazards and being prey to unscrupulous people. It is not until a catastrophic event happens, a fall, a theft, or the death of a spouse that the problem rises up, gets highlighted or is exacerbated. You may find yourself feeling hopeless in what feels like an overwhelming situation. Memory or physical disability are the two leading factors that necessitate a transition to a seniors’ community. Unfortunately, for many individuals it may be too late to choose a location. Supportive housing for seniors usually has three levels; independent living, assisted living and complex care. All three provide accommodation with various levels of support in meal preparation and housekeeping but, whether you can function safely, and accommodation availability will be the determining factor on whether you qualify. Like many businesses, community life for seniors has changed in the last few years. It has moved away from the old nursing home model to upscale and boutique style living. In some incidences this social model is similar to moving to a club-style model. The reason? It is the customers. Renting an apartment, having access to hospitality services is more reminiscent of resort style living. It frees one from the domestic responsibilities to enjoy life with the people you care about. Where you live matters…take the time now to do the planning! Wilma Atchison is general manager of Granville Gardens located at West 49th Avenue, Vancouver, BC. Her storied journey set her along a path to wanting to create environments where people feel they belong, with people who care, doing things that matter and are purposeful. She can be reached at (604) 563-3540.